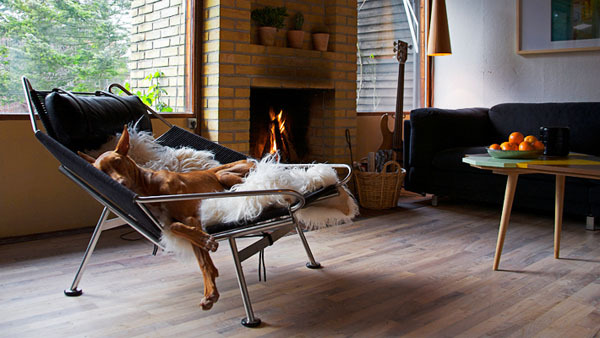 More than 50 years before the Konstantin Grcic’s Chair One and his facets design, the Flag Halyard Chair by Hans J. Wegner designed in 1950 is truly one of a kind. Made of solid stainless steel, 240 meters specially developed flag line and a long-haired sheep skin it is the ultimate relaxing luxury manufactured by PP Mobler ! ”We must be careful that everything doesn’t get so dreadfully serious. We must play – but we must play in a serious way !” – Hans J. Wegner. 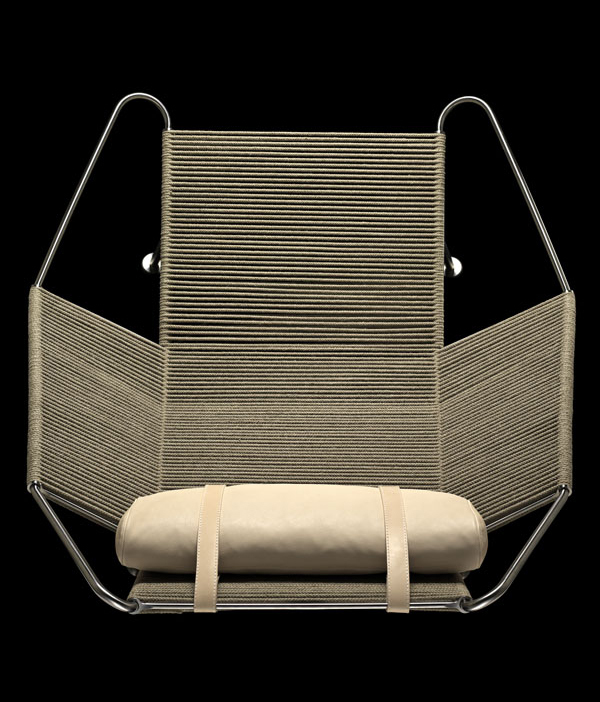 Despite the futuristic appearance, the basic idea and the shape of the chair was conceived on a hot summer afternoon under quite trivial conditions. While the kids were playing in the shallow water on the beach, Wegner was digging himself into the sand building a comfortable chair to enjoy the holidays. 60 year after, the PP 225 is more than ever up date for connoisseur people searching authenticity, luxe and creativity. 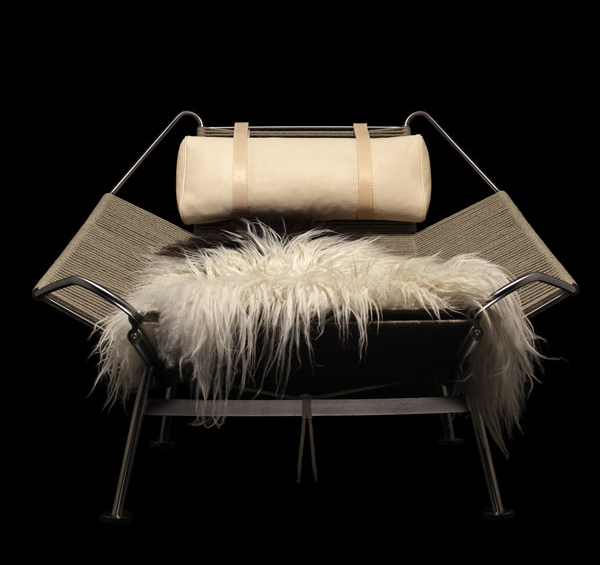 They can even select the sheepskin for their Flag Halyard Chair, on PP Mobler website.